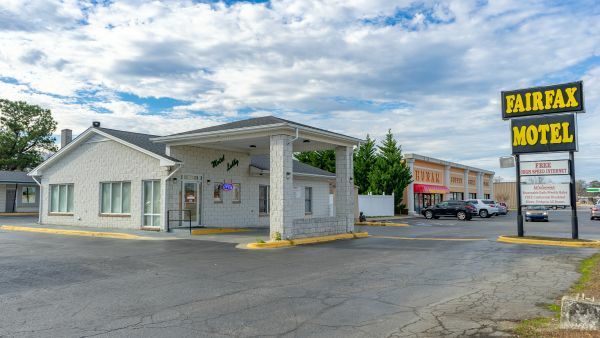 Offering free Wi-Fi, this Roanoke Rapids, North Carolina motel is located off of Interstate 95. A cable TV is included in all Fairfax Motel rooms. A microwave and small refrigerator in addition to an en suite bathroom are included. Space also includes heating and air conditioning. A 24-hour front desk is available for guests' convenience. Laundry facilities and a vending machine are supplied for guests. Additionally, the property offers free parking. Roanoke Canal Museum and Trail, demonstrating the history of the canal construction, is 5 minutes' drive away. Halifax State Historic Site is 16 minutes' drive from Motel Fairfax. Roanoke Rapids Lake is situated 7.3mi from the motel, and Lake Gaston Resort is 26 minutes' drive away.